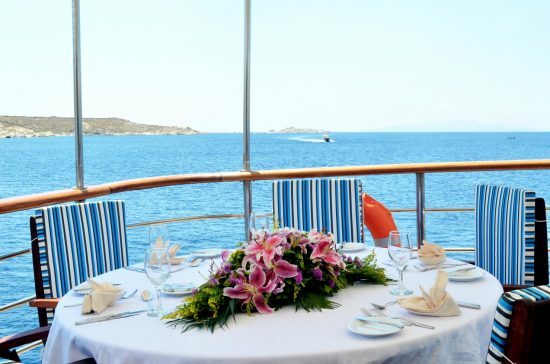 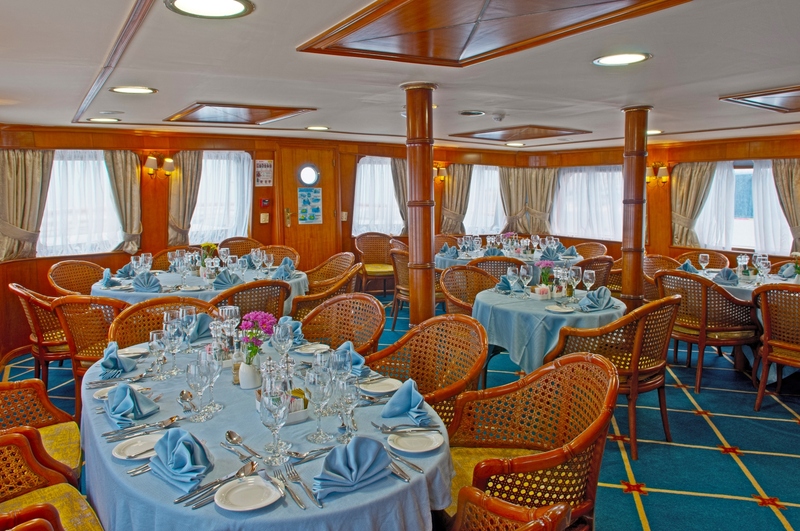 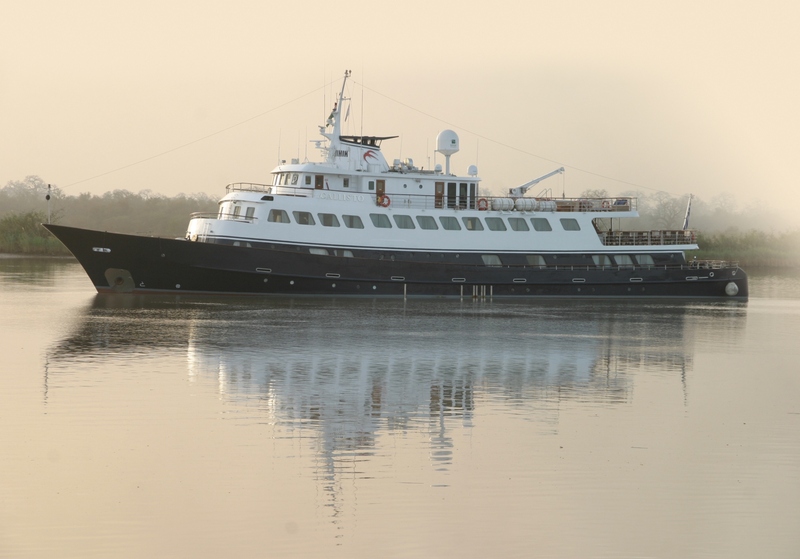 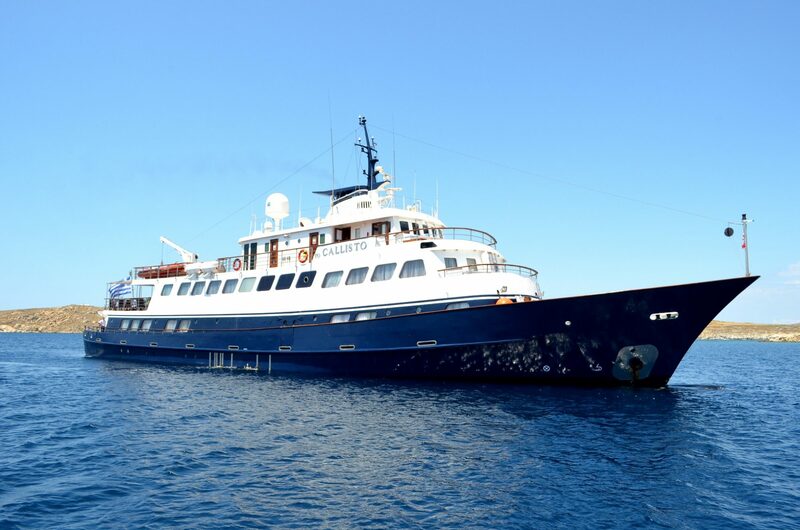 The MS Callisto is a fully renovated, elegant motor-yacht launched in 2000. 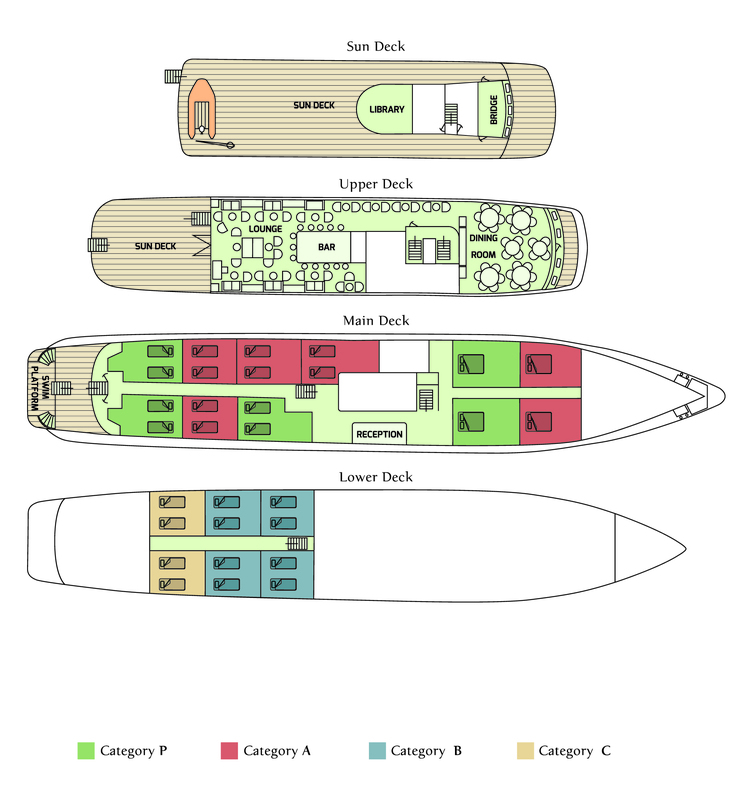 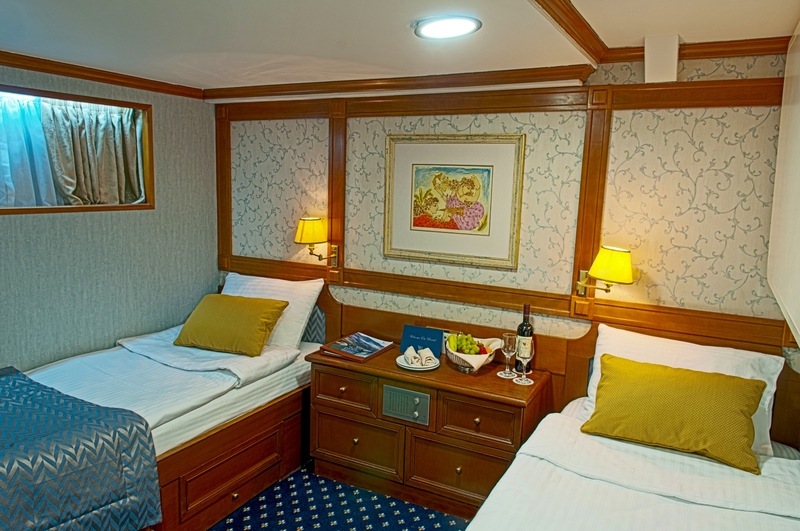 This state of the art sail cruiser has performed several Atlantic Ocean crossings and offers the highest standard of accommodation, comfort and safety. 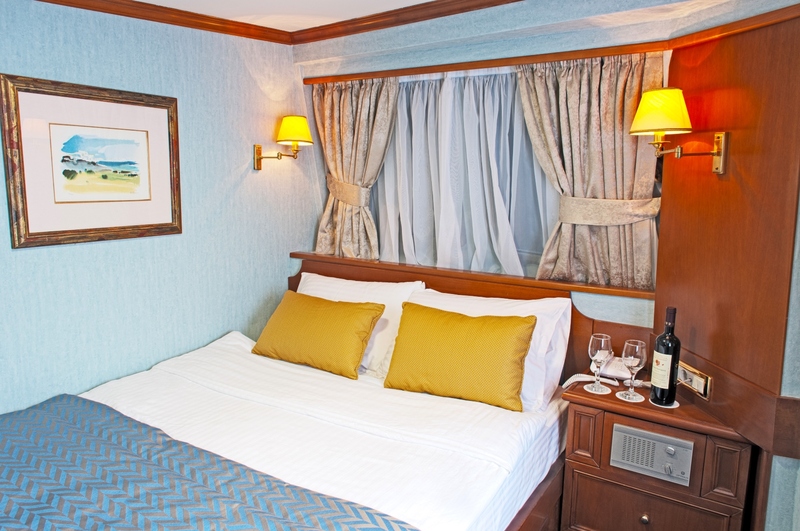 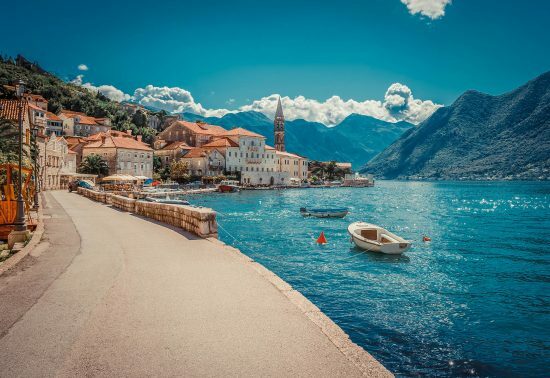 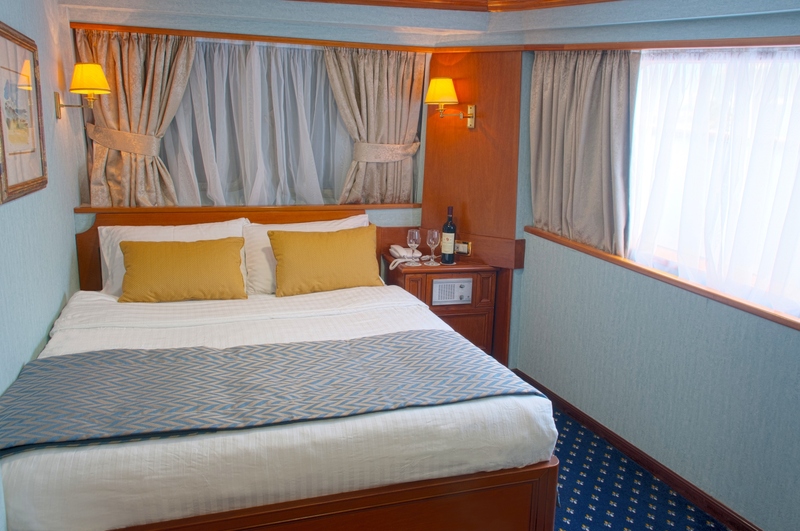 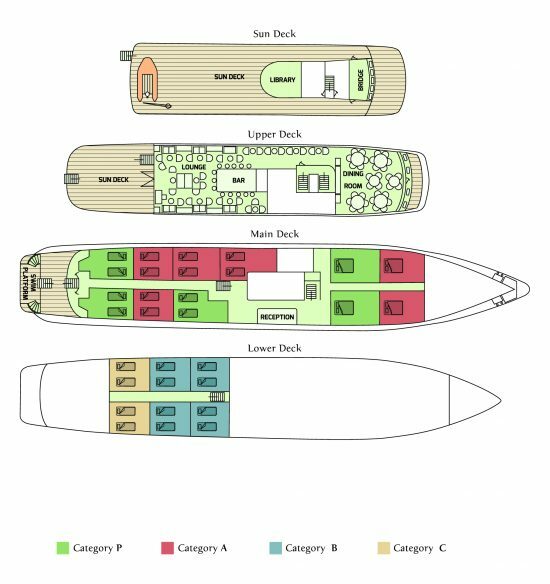 17 cabins, located on 2 decks, are finished with wooden furniture and light fabrics and feature fully equipped en-suites, air-conditioning, flat-screen TV, safe and more. Communal areas include a main lounge, dining room and sun deck. 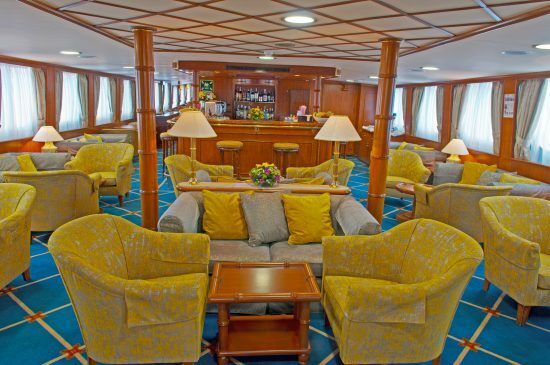 The main lounge/bar and dining room are connect by the gallery, displaying exquisite art and adds to the feel of this vessels classic charm. The spacious lounge and bare area on the Upper deck is surrounded by panoramic windows and opens onto the outdoor dining area. 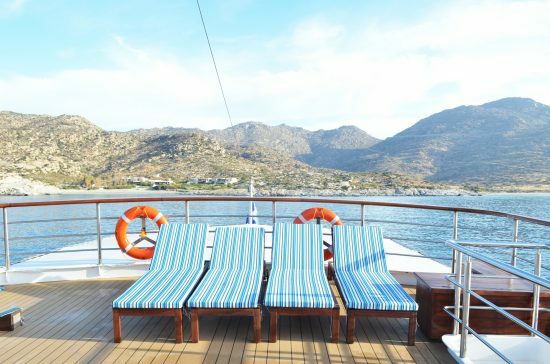 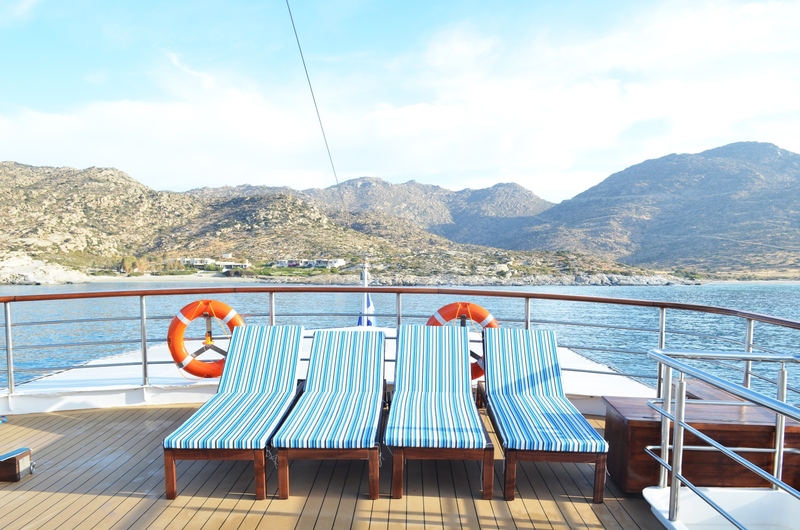 The Sun deck offers a swimming platform and numerous sun chairs to maximise your relaxation.